In this session, you will learn how to do spiral rope – this is one of the most versatile stitches; change the beads you change look completely! The rope itself is flexible and lightweight yet strong enough to hold a pendant. 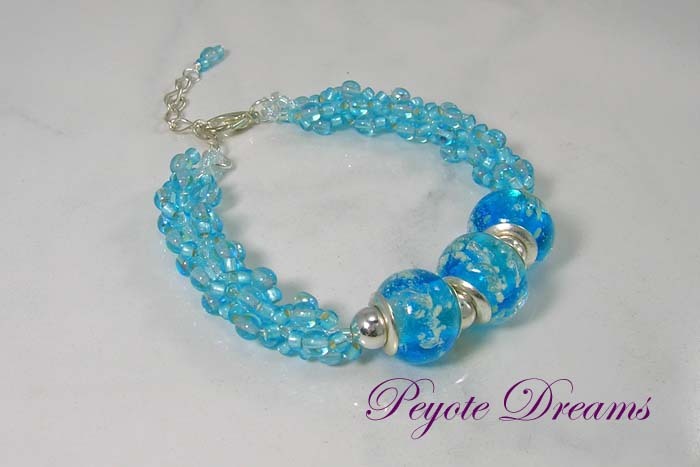 Available projects will include a bracelet with a focal bead, a bracelet with additional elements, a necklace with multiple focal beads and a pair of earrings. Samples of each of the projects will be available to see and bead substitutions can be made, where applicable. Bring to class: Scissors, magnification if required. You will also need to purchase your own materials for the projects.